For those who, like me, could not afford to buy a real Cadillac Eldorado Brougham when it was new ($13'074 for the first generation, $13'075 for the second), some satisfaction could be derived from acquiring one's dream car in miniature. 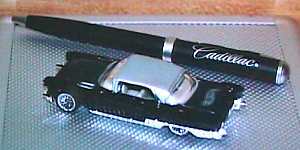 For many years I was a fervent collector of Cadillac cars in miniature (scale models, scale replicas and toys). 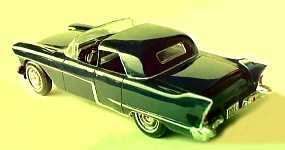 During these 40-odd years, I acquired or had purposely built many replicas of the Cadillac Eldorado Brougham and of the Motorama show cars that preceded it. 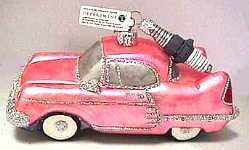 Changing circumstances in my home and professional life caused me to have to part with my Cadillac toy collection in 1989. 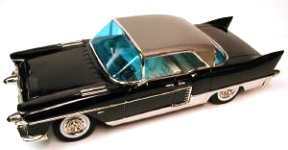 At that time, I believe it was the single, largest collection of scale model Cadillacs in the world. 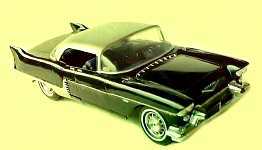 On this page are listed the Eldorado Brougham or EB-related toys that were in my collection in June, 1989, together with others that have been marketed since that time. I shall gladly update the following list if any Database user(s) would kindly provide appropriate and current information. 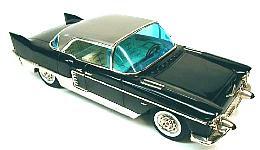 NEW [FOR January, 2002]: On this Web site you will find for sale a very nice looking, tinplate replica of the 1957-58 Eldorado Brougham by Japan's Marusan company, masters in making tin toys for the last half century. This was marketed in 2002. 1 The "RD" models were commissioned - through Dr. Michel Sordet, a friend and fellow toy collector in Geneva, Switzerland - from their maker, Rene Daffaure [hence the name RD]. René hand-built these models, one by one, from bits of balsa wood and plastic, on the kitchen table of his home in Marmande, in S.W. France [which is the reason these models are known sometimes as Marmande or RD - Marmande models]. René specialized in building replicas of cars that had raced at Le Mans; he may have built some 8,000-10,000 of them over a period of some twenty years. 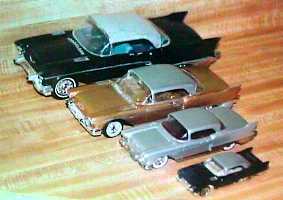 During that time, he built also about 200 Cadillacs in miniature; more than half of these were commissioned by me. 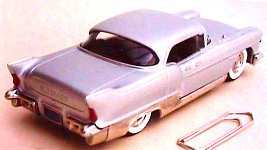 His first scale-model Cadillac was the well-known 1950 Series 61 coupe that ran in the Le Mans race that year; René built a few dozen of these. He made also some scale replicas of the Cunningham barquette nicknamed Le Monstre, powered by the sturdy 1950 Cadillac V8 engine, that also ran at Le Mans in 1950. The RD or Marmande models, although crudely built, possess a fascinating appeal. Their charm is surpassed only by their rarity. 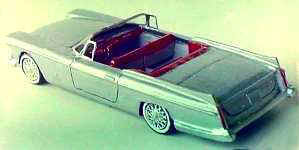 Indeed, some of the Cadillac models I commissioned from René are unique. I believe my friend Dr. Sordet has the largest, single collection of RD models in the world; his RD collection consists mainly of replicas of Le Mans race cars. My former RD models are currently  in safe hands in Zürich, Switzerland. 2-door model may inspire a foolish owner to convert his real car! that it is a revised and updated version of the earlier BRK 27. 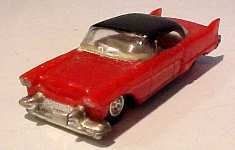 1956 Eldorado Brougham Town Car for $285, made (on order only) by "VF" models in Germany.